Shetland Life – Memories of Film’s Magic. 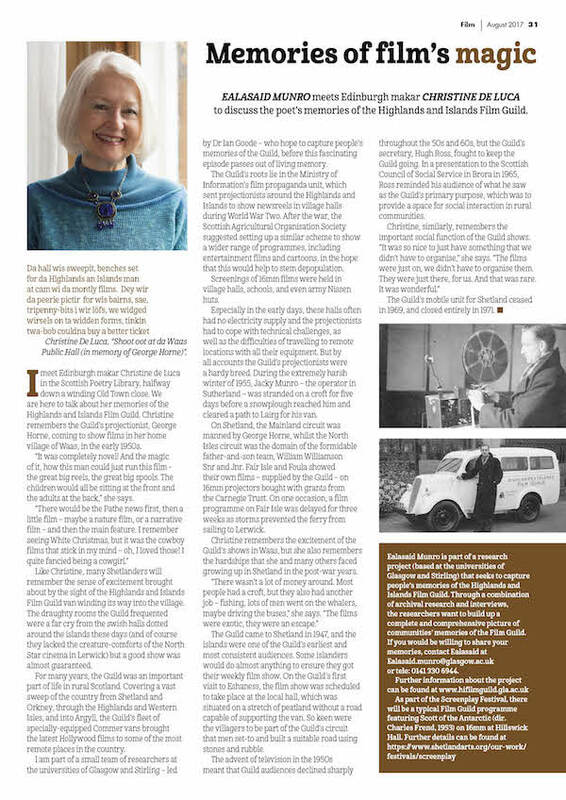 Delighted to recommend this article by Ealasaid Munro in the August 2017 edition of Shetland Life. 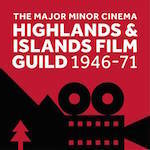 Ealasaid met with Christine de Luca to discuss the poet’s memories of the Highlands & Islands Film Guild and her sense of excitement at attending Film Guild screenings in her home village of Waas in the early 1950s. You can share Christine’s excitement in this reading of her own poem, “Shoot out at da Waas Public Hall (in memory of George Horne)”, specially commissioned for Reel to Rattling Reel as part of our project. With thanks and acknowledgement to Christine de Luca, and to Genevieve White and the team at Shetland Life.